Oh how I wish I was born with long, dark and fluttery lashes! Having pin straight and blonde eyelashes means that they are basically invisible unless I give them a good curl and a coat (or seven) of mascara. 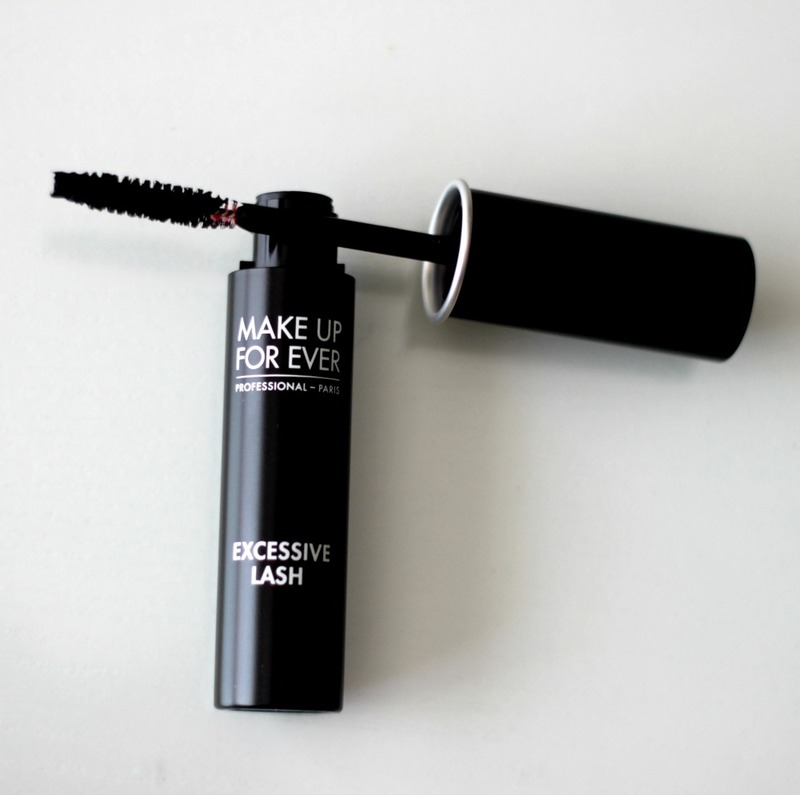 There are thankfully ways to grow your lashes naturally (see here for what I am currently using), however mascara is always a necessary step for me to really make them stand out. I haven't had much luck with volumizing mascaras in the past which is why I prefer lengthening ones, but I'm always game to put either one to the test. Enter the Make Up For Ever Excessive Lash Mascara*, said to bring instant volume and definition thanks to its clump-free formula. The Excessive Lash Mascara comes with a thin double-fiber brush: flexible red fibers apply an even coat, while white rigid fibers separate and add volume. I've always been a big fan of rubber brushes (they seem to be more effective on my thin unruly lashes as documented here), but when I read up on this specific brush I was hopeful I would see a significant improvement. The ultra-black and buildable formula, made with both carnauba wax and beeswax and a unique oil blend, is said to create a dramatic effect without flaking throughout the day. I was immediately impressed with how the brush separated my lashes, and how the formula was not too wet to work with. I was scared my lashes would have that spider-like effect I try to avoid from fear of looking like I went overboard with mascara, but the formula and brush really allow you to control the outcome even following multiple coats. As you can see, my lashes do not have as much added volume after two coats as I had hoped for, but they do look significantly longer and the end result is what I usually prefer my lashes to look like. I've seen really impressive results from other people, so it might still be worth giving a try. 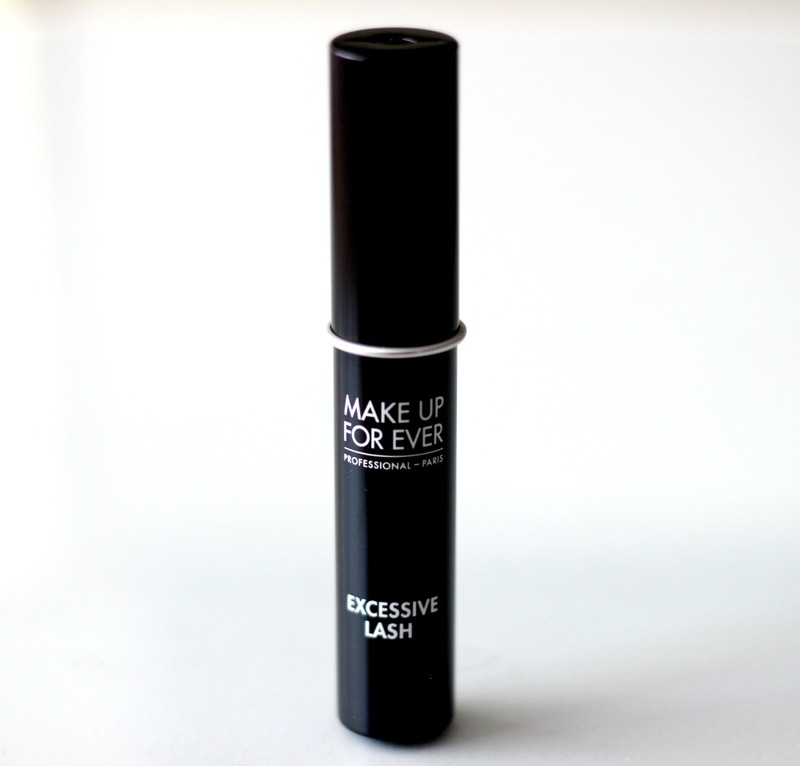 The Make Up For Ever Excessive Lash Mascara retails for C$31.00. What do you prefer - volumizing or lengthening formulas?